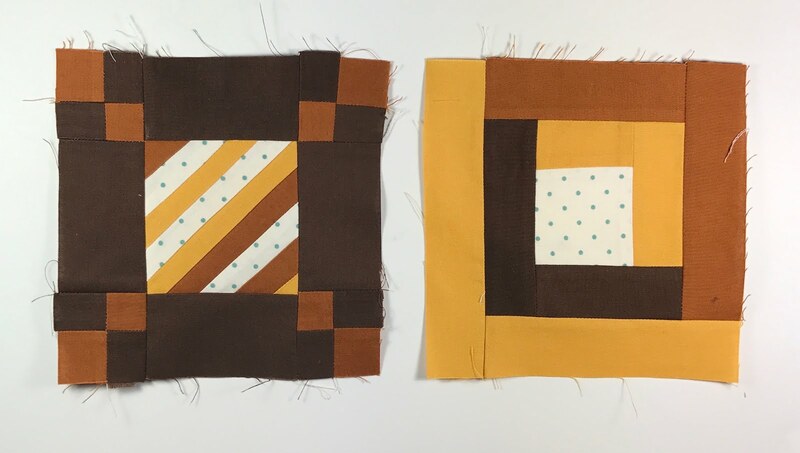 April's blocks are called Irish Chain String and Log Cabin and use string piecing and the classic Log Cabin. 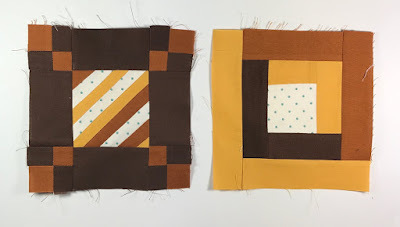 We'll be making one of each block. 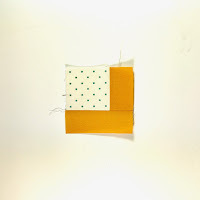 Start by chain piecing the little squares to make 4 For Patch units. 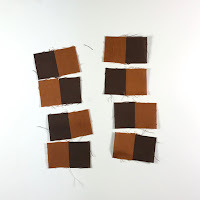 You will square these up to be 2"
Next, follow AnneMarie's instructions for the string bock! 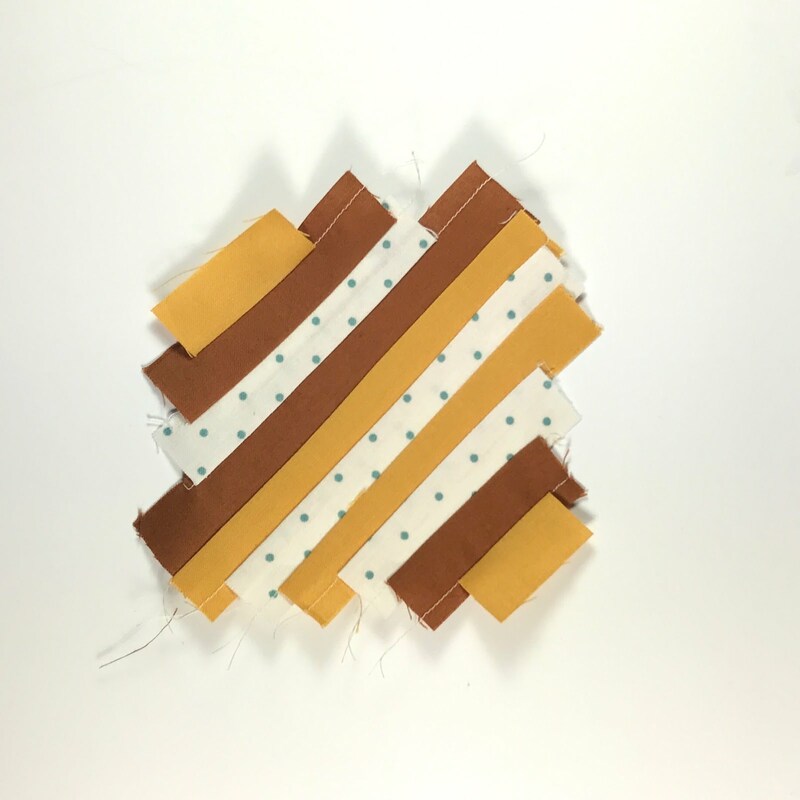 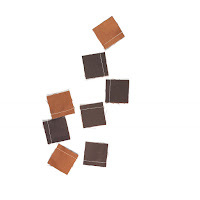 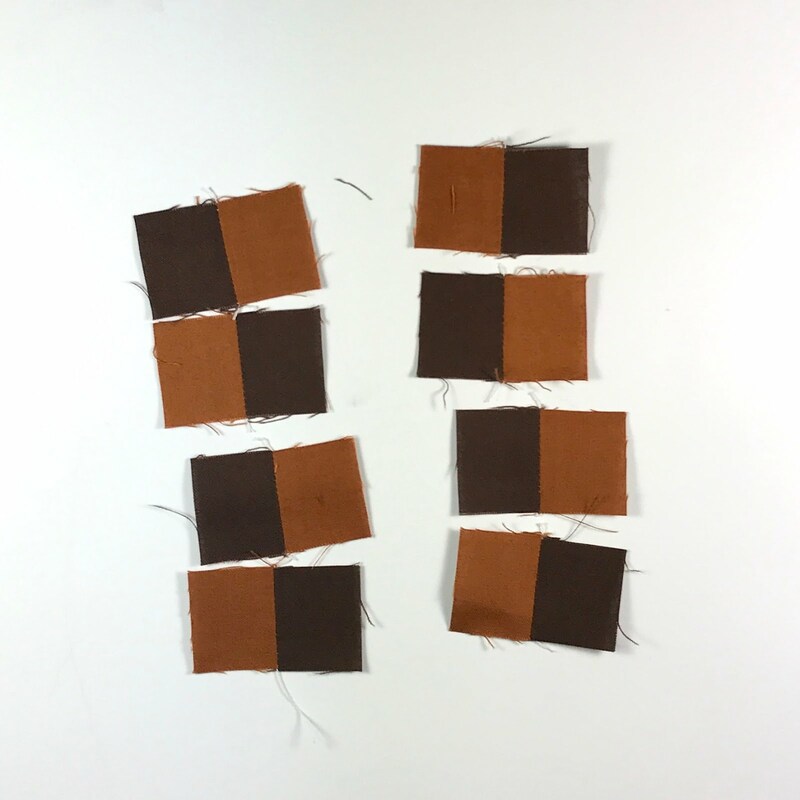 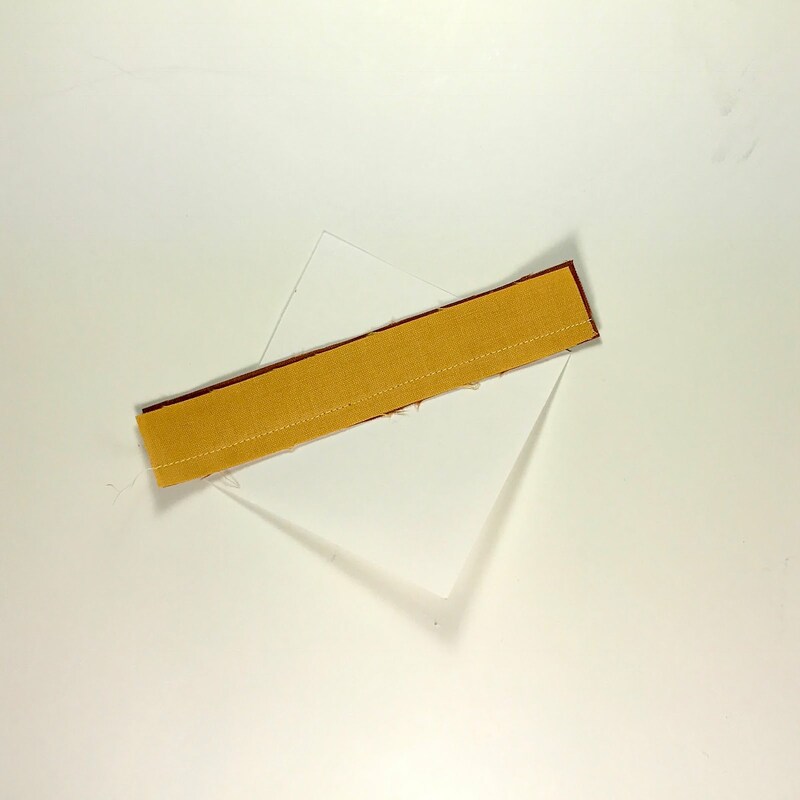 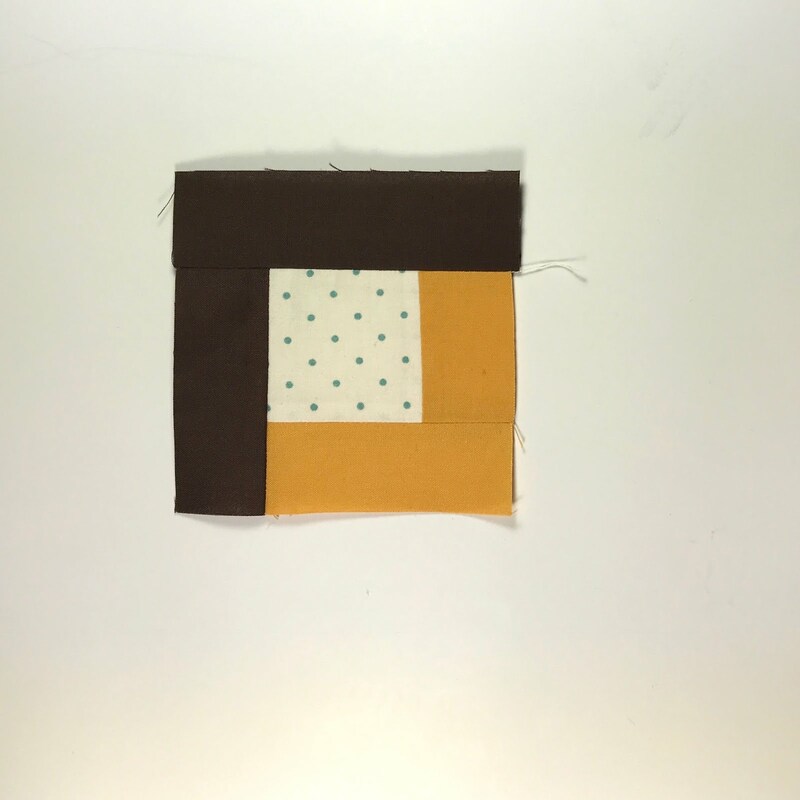 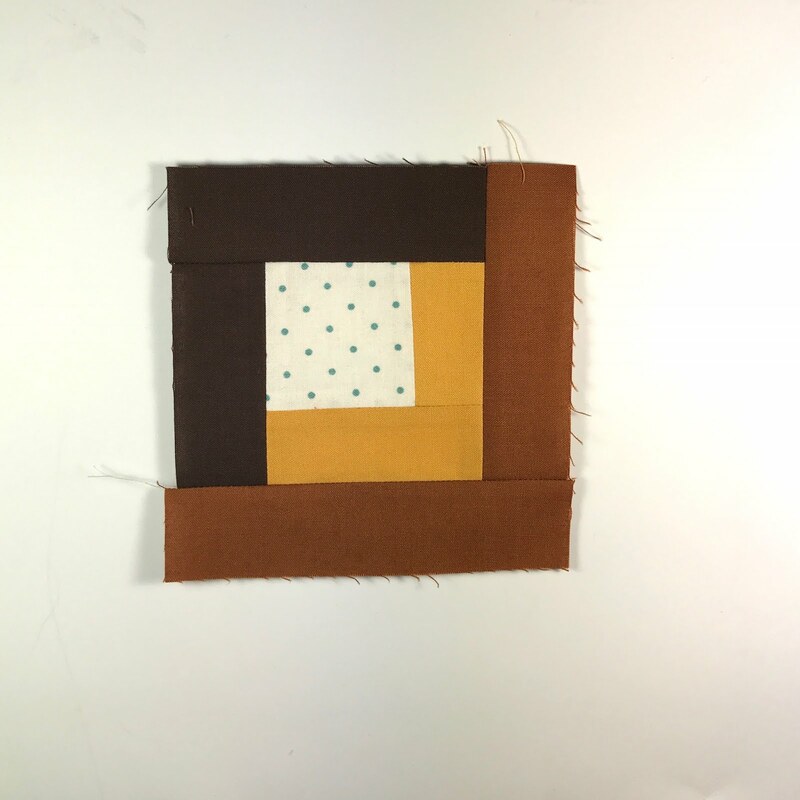 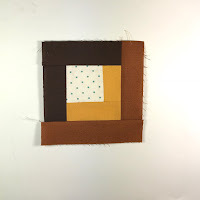 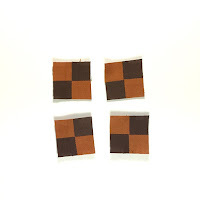 Attach the Four Patch units, Chocolate squares, and string square to create the block. 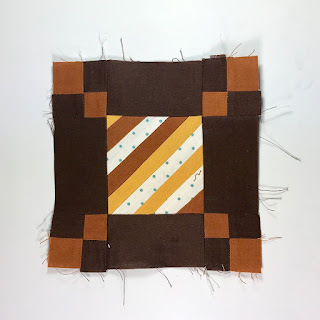 The Log Cabin block comes together super easily! And there we have it - our fourth month of blocks are complete!